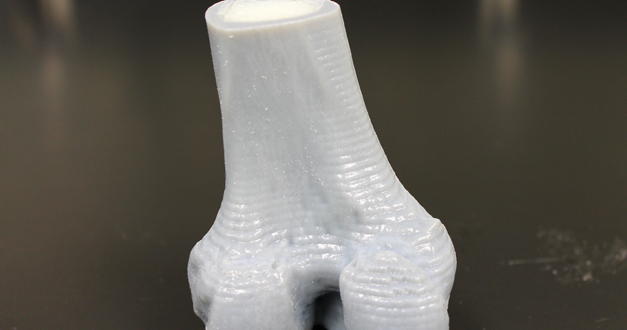 To prepare for a complex procedure to correct a bone deformity in the knee that forces the patella out of alignment, VisMed-3D printed a patient-specific knee from a CT scan. 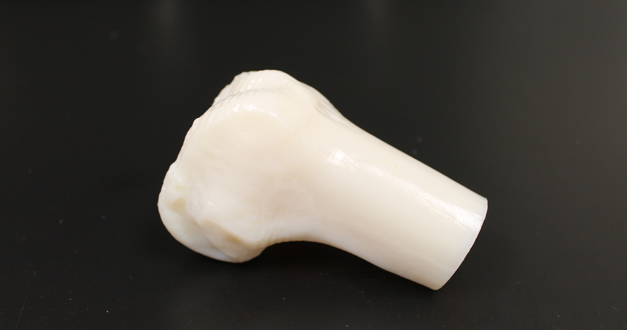 The material used was printed in a hardness that approximates bone. 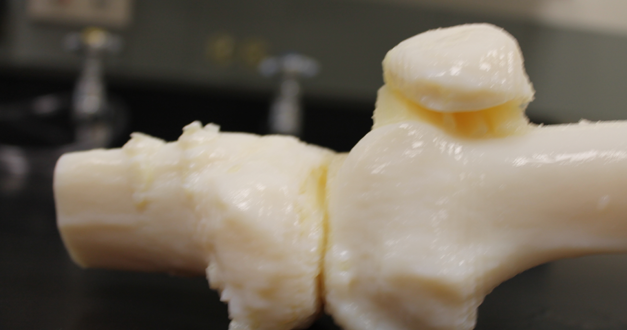 The process involves using an electric, handheld saw to correct for the deformity. 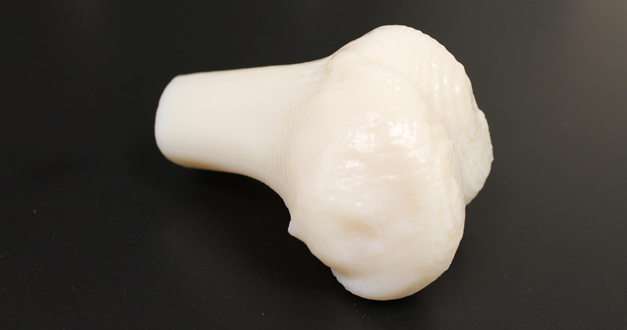 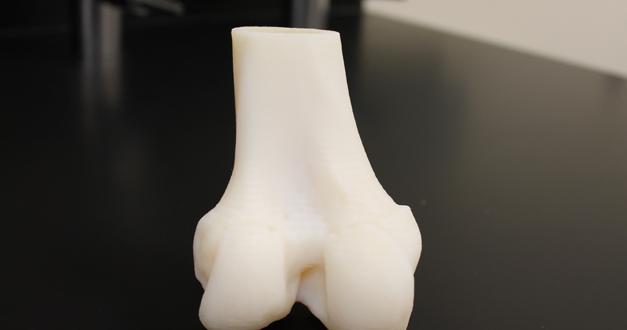 The 3D printed knee allowed the surgeon to plan and practice the cut in advance of surgery.